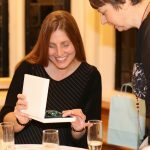 Thanks to Jo Garton for this lovely guest blog post focusing on Swindon’s singing opportunities. Which are many and various. This is your note – sing it! Swindon’s lungs are bursting with singing opportunities. Swindon is a city of choirs. Well – ok, it’s a town, but it feels like a city to many of us. There have been many health and psychology studies which show that singing is good for your health. this easy form of self-expression helps maintain sound (pun intended) mental health. Swindon is the place to be if you want to sing, because thousands of people sing here every week and not just in the shower! Of course, we have a history of singing here; the Mechanics Institute had a resident opera company, which famously made Swindon theplace to be in the UK if you fancied a bit of Russian opera! If you want to know more about that then I suggest you read Secret Swindon by Angela Atkinson, in which she tells more about that. Nowadays we have highbrow, lowbrow and everything in between. Probably Swindon’s longest established choir is the Swindon Male Voice Choir, founded in 1919. They meet weekly in Gorse Hill and have about fifty members. Over the years they have toured internationally and won many competitions and Eisteddfods. The Swindon Choral Society is another long-established choir. It has roots right back to the 1920s. They also tour internationally with a repertoire that includes Requiems of Brahms and Elgar’s Dream of Gerontius. The choral society has 110 singers and they meet in Freshbrook. The indomitable Sheila Harrod started the well-known Kentwood Choir in 1964. Like many of the choirs in Swindon they have raised a lot of money for charity – over the fifty-three years of their existence over £1 million. Their president is the internationally renown jazz singer Dame Cleo Laine. Their thirty-five women members have sung on national television and abroad. Newer kids on the blog are The Magnificent AK47s formed in 2008. They meet in Ashton Keynes, but many of their members are from Swindon, some are not even members of the Spooner family! They have enjoyed success at the Derry International Choral Festival and the Cork International Festival. The AK47s are an all male choir who, for reasons not entirely clear, sing quite a lot about beards! Swindon Community Choir started in 2000 as the Scratch Choir but over the years have changed their name. They favour a ‘natural voice technique’ which believes that singing is everyone’s birthright. They meet in the Central Community Centre in the railway village (what was the medical fund society hospital) on a Monday evening. 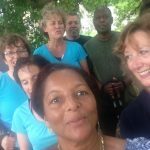 This is a mixed choir, which welcomes new members without an audition. They have a wide ranging taste, singing folk, pop and international songs. 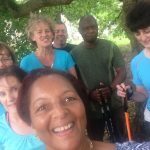 Running for twenty-five years and also raising money for good causes is the Thamesdown Ladies choir. The choir has around fifty members and a wide-ranging repertoire. Finally, the BigSingThing has been running for seven years and meets in West Swindon on a Monday evening. Roughly ninety men and women sing each week. They perform concerts locally and have raised over £10,000 for charity. BigSing claims to be Swindon’s friendliest choir and sings pop songs old and new as well as some songs from musicals. If you want to sing in Swindon there is plenty of choice! I’m always looking for new and interesting angles to share when out and about in Swindon. The amazing world of 3D Printing is all around us, and its growing. Fast. 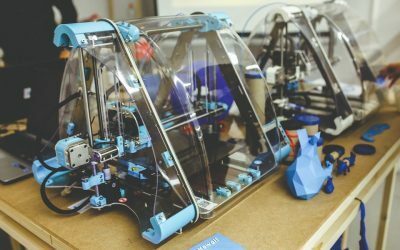 Over the last year, (2018-19), the Additive Manufacturing Market (that’s the proper name for 3D printing), grew by 21%, as companies and individuals embrace the competitive advantages that 3D Printing gives them. 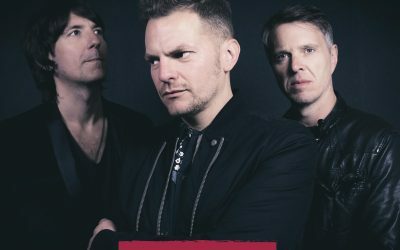 Toploader, the band which had one of the most successful songs of the last 20 years Dancing In The Moonlight, has been named among the line-up for the MFOR Festival at Lydiard Park in Swindon in July. 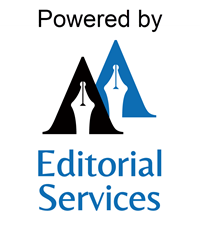 When I’m not being Born again Swindonian and writing Swindon-related books I offer proofreading, editing and writing services as AA Editorial Services. 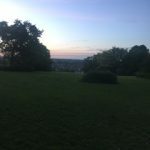 Over the last few weeks and months I’ve shared on here experiences of, and reflections about, Swindon from friends and clients. Anyway, like so, so many people, Catherine pitched up in Swindon for economic reasons. 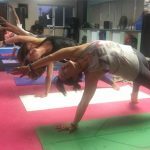 Finding self and community in Swindon – and a business to boot! Like so many others before and after me, I came to Swindon for economic reasons. At the end of 2000 I left my home town of Northampton to relocate to Swindon as my partner had got a promotion here. There was some trepidation in this move as I can’t say Swindon as a town had received great recommendations from colleagues. Indeed, they were pretty negative about it. I remember the first time I took a wander in the town centre and felt that I definitely didn’t want to move here. Yet somehow when the job offer came in and I found myself saying “yes”. Within a month or two we were selecting a new home on the Taw Hill estate. This was in the days before the opening of the Orbital Centre and the Thamesdown Avenue road. In the main those days revolved around my workplace. I made friends, including some native Swindonians all of whom proved welcoming and friendly. After a while we moved to Devizes for a couple of years. But then found that we were travelling back to Swindon so much for shopping and socialising that it made sense to return. After doing the rounds of showhomes we plumped for a house in Haydon End. We were the first people on the building site to move in. We had children and it was when they were small that I became more aware of my need for local community. So I joined a baby and mum music group at Bath Methodist Church in Old Town. A positive recollection I have of Swindon’s people revolves around an incident in Boswell’s café with my baby girl. She was sick, not only all over the floor but all over herself as well. Not being the most organised of mums I hadn’t got a change of clothes for her. To cut a long story short a fellow diner disappeared and returned with a new top for my baby. She refused payment from me. What a wonderful act of random kindness that was. 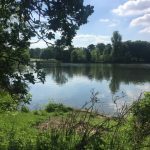 Lydiard Park is a fantastic place to go with children. I have loads of happy memories of times there. In particular, my daughter’s 1st birthday when a group of us mums and my mum had a wonderful afternoon playing with the kids on in front of house. Around this time, the friend I’d met at the music club asked me to be God Mother to her little boy. Being asked was such an honour. Although I did feel a little coy about the fact that outside of Midnight Services, I hadn’t been to church in years. The Christening was at St Saviour’s in Old Town. It’s s a beautiful church with an interesting history to it. This event proved to be turning point for me. 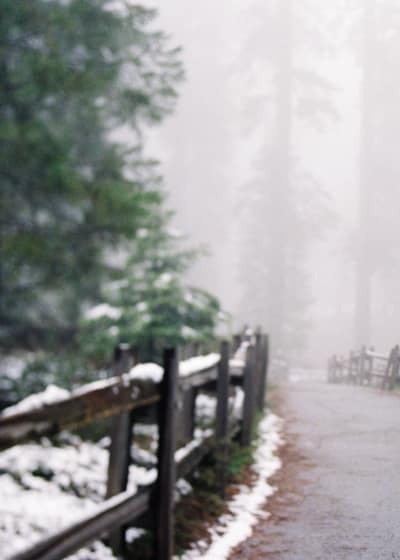 I felt something spiritual – or at least felt I’d come home. I knew then that I wanted the church to be part of my life. Life took a further twist when I left my banking career in 2013. I’d worked for the company for seventeen years. But now, with two small children, I craved a meaningful way of life with a more equal work/life balance. I felt a drive to do something more meaningful to me – that meant something creative. 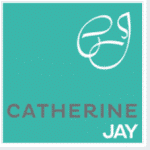 So, setting sail on a journey I didn’t fully understand I launched my Catherine Jay jewellery business. 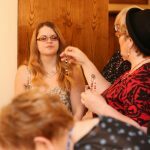 The great thing about being in Swindon is the community of like-minded businesses women I’ve been able to connect with. I’m a regular attender at ‘Ladies who Latte’ – a free and supportive networking group. The friendships formed at this and other groups have been invaluable. 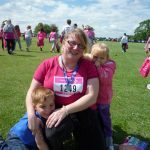 In 2013, life took another turn with the unexpected death of my mum. 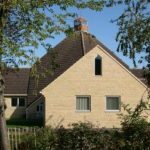 Around this time, getting to St Saviour’s to worship proved too much with two small children and I’d decided on a move to St John’s in Haydon End. The homegroup and Sunday school were super welcoming and gave much-needed succour at a difficult time. What I like about St John’s is its community involvement. 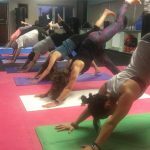 It offers practical services such as the rock café on Fridays and a pram club on Mondays. There’s a craft club to that I run together with another lady. For me the church is more than a building and a place of worship. It’s a community and it’s important that it’s open to people. 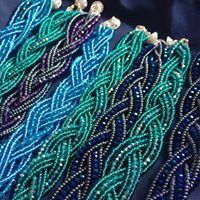 I have over the last few years developed my passion for beaded jewellery. 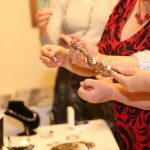 I’m still in the process of working out which way to take my business, but one regular feature of my calendar is a jewellery evening at Stanton House Hotel held in November. I have a collection of jewellery for sale, but the evening is as much about being social as it is about shopping. Here’s a few snaps from last year’s event. Yes listeners. We DO have our very own symphony orchestra! Who knew?! Not me until relatively recently. Yet it’s been here for twenty-eight years! We also have people performing chamber music recitals in Swindon too. Who knew that? I’ve said it before and I’ll say it again: WHAT are people looking for when they say there’s nothing to do, nowhere to go, nothing to see and no culture in Swindon? Aside from big West End plays and musicals – and get real this is a town not a city – what is out there that’s not here? I truly don’t understand it. ‘Did you know Swindon has it’s very own Symphony Orchestra? 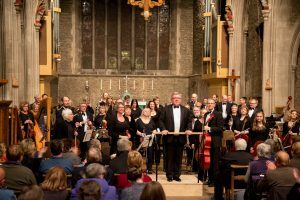 Described by the organisers of Swindon175 last year as “Swindon’s best kept secret”, the orchestra has been performing in the town for twenty-eight years! The Swindon Symphony Orchestra performs two concerts each year, with members who are talented musicians from Swindon and surrounding areas. They play because of their shared love of music, their desire to be something bigger than just a lone person practising at home and because they want to do some good for local and national charities whilst providing entertainment for people in and around Swindon. This is how it all began . . . The orchestra was the brain-child of late, enthusiastic local musician John Birkin. His original plan was simply to bring high-quality musicians together for a one-off concert at the Wyvern Theatre in 1989, to raise funds for what was then the Wiltshire Youth Orchestra. However, the music-making was so popular, with audience and musicians alike, that John was persuaded to continue running the orchestra. The initial concert had been a huge undertaking, organised solely by John, so a committee of willing volunteers was formed to spread the workload, and that is how the orchestra still functions today. Despite its roots reaching back to the 1980s, there have been surprisingly few conductors of the orchestra over the years. Malcolm, our current conductor, has done much to increase the range of music and composers that the orchestra tackles, helping to increase and retain membership in addition to stretching the abilities of the orchestral members and occasionally filling the hearts of the players with fear owing to the sheer number of notes on the page! There have been many memorable concerts over the years (very often because the previous concert venue, a church, was so cold!). On one occasion a brave, local conductor Jonathan Trim had to be enlisted to conduct the orchestra with only a few hours’ notice on the day of the concert without prior sight of the programme, as Malcolm had put his back out. One sell-out occasion was a concert at Bath Road Methodist Church when the orchestra performed Peter and the Wolf with the very entertaining and greatly missed Jonny Morris, of Animal Magic fame. On the basis that ‘if you don’t ask, you don’t get’ the orchestra invited him along, cheekily adding that it had no money to pay him a fee but hoped he would perform anyway as the concert was to raise money for charity. Sometimes, being cheeky pays off! Concerto soloists are often regular members of the orchestra, with flute, clarinet, bassoon, horn, cello and violin works performed in recent years. Other recent guest instrumentalists have added trumpet, oboe and piano works into the mix. The orchestra’s repertoire not only includes the standard classical and romantic composers like Mozart, Beethoven, Dvorak, Tchaikovsky, Rachmaninov and Shostakovich, but also lesser known works by Suk, Rautavaara, Khachaturian, Reinecke, Horowitz, Arutiunian and Kodaly. 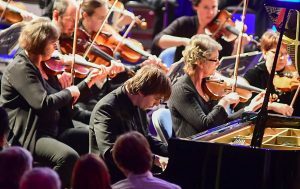 In Autumn 2016 the Orchestra were proud to performed to a sell-out audience in the Great Western Hall at STEAM, Museum of the Great Western Railway, as part of the Swindon 175 celebrations, with the very talented soloist, Daniel Lebhart, delighting us with his skilful performance of Rachmaninov’s Piano Concerto No. 2. Although he is no longer with us, hopefully John Birkin would have been proud of the progress and development made by the Swindon Symphony Orchestra, and the orchestra members are grateful for his insight and unrelenting hard work in founding the Orchestra all those years ago. 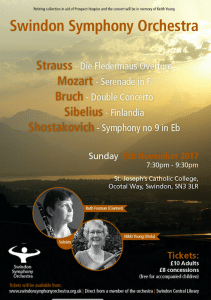 Our next concert is this coming Sunday, 5th November 2017, 7:30pm at St Joseph’s Catholic College where you will be able to hear two of our members, Nikki Young (viola) and Ruth Foxman (clarinet) play Bruch’s Double Concerto for Viola and Clarinet. Other works in the programme are Johann Strauss Jr’s Die Fledermaus Overture, Wolfgang Amadeus Mozart’s Serenade No. 2, Sibelius’s Finlandia Op. 26. and Shostakovich’s – Symphony No 9. We are always very interested to hear from musicians who would like to play with the orchestra, especially advanced string and brass players. If you would like enquire about playing with us, or keep up to date with the orchestra, including concert dates, you can use the ‘Contact Us’ page on our website www.swindonsymphonyorchetra.org.uk and you can follow us on Twitter @SwindonSymph and Facebook facebook.com/swindonsymphonyorchestra. Gosh, September is here and autumn is now fast approaching. So here’s a nice opportunity to share a few lines and photographs from Odile Motte that are a perfect evocation of long, sultry summer evenings from earlier this year. Particularly on days like today when it’s raining cats and dogs out there. Odile is French, but has been in the UK for many years now. She runs the Brunel Language Centre in Swindon and lives in Old Town – right by where the cattle market used to be. And yes, I’m still confused as to why we have a ram but no ham! A ram as well as a ham at least surely?? ‘It is 9 pm on Sunday. Such a lovely warm evening, following a lovely warm sunny day. Far too nice to be inside. Time for a walk around Old Town. Two minutes from my front door and I am in The Lawn. So pleasant and quiet at this time of night. The birds are still singing. The outline of North Swindon and Stratton in the distance on one side, the silhouette of Christ Church standing peacefully on the other side as night falls. Walking back I enjoyed the contrast of Wood Street where drinkers also enjoy the warm weather or the band playing in one of the pubs. Here’s a few photos that Odile took when enjoying her walks around Old Town and The Lawn. Hello listeners. Here we are in August already. Aargh! Where is the year going to? What I love about this post is that Julie has picked a range of aspects that go a long way to highlighting what is so great about this place. And who knew that Swindon is a brilliant place to home educate your children? ‘I didn’t choose Swindon as a place to live. Rather, I chose my ‘husband to be’ and this is where he lived. When it came to be time for me to settle in England (which I had wanted to do since I was a child) after an 8-month long distance relationship – and it was long distance back then.The Internet didn’t exist and it took a week for mail to reach Switzerland. So Swindon is where it happened to be. I was told Swindon was the fastest-growing town in England if not Europe. And though that didn’t appeal to me much, what was welcome was it’s proximity to places I needed to travel to: Blackpool, Belgium and later on Brighton and Devon. Though I did not choose Swindon as such, I’m happy to call it home – something I never felt in my native Belgium. To be honest I can’t think of anywhere else I could live that gives me what I need in my life right now in the way that Swindon does. I’m not keen on cities. I much prefer being out in the countryside. But as I prefer getting around on my pushbike I don’t want to live out in the middle of nowhere either. Swindon enables me to do just that. I can cycle to most of the places I want to go. The town centre, Old Town, to my gym in Greenbridge, as well as the green spaces which I will expand on later. All this is done mostly off the main roads, even if the cycle tracks are not as well signposted as I’d like. This is a good test of my navigation skills and I always get home though sometimes not the way I was expecting! When I came to Swindon in 1993 and I could finally start my business, Body Mind Coaching, two things were important then and still are. Fist was the support I got for my business. It started with Great Western Enterprise and the Chamber of Commerce. 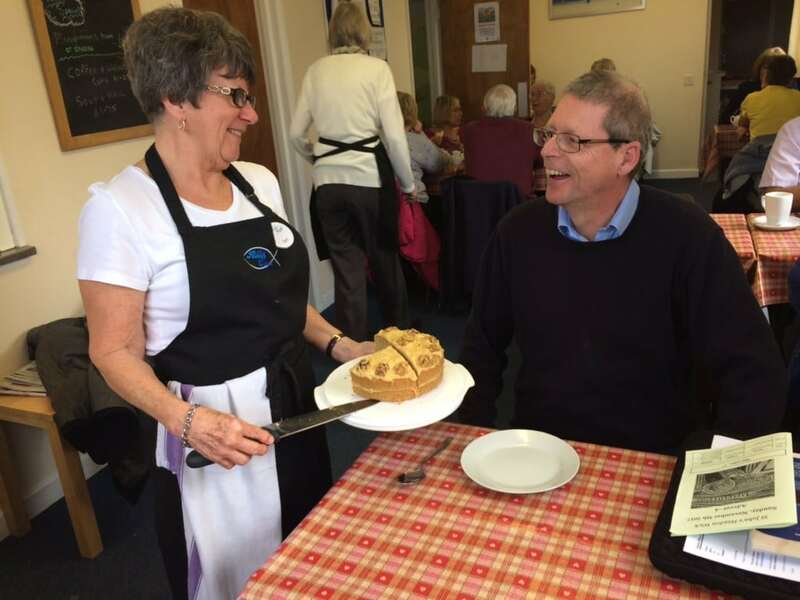 This support continued with a whole host of networking groups, especially one I joined more recently, despite knowing about it for almost 10 years: Business Village. In addition there’s been lots of mostly free business training along the way. I mentioned above that one of the great things about Swindon is access to green spaces. So evening walks around The Lawns and cycling to Coate Water are things we do regularly. Thinking about it now, I realise that although I was a foreigner, (and still get asked where my accent is from) I have felt accepted by the people, even if I might be considered a little strange. This was something I hadn’t felt growing up in Belgium as I was considered a foreigner there for being British. -The death café, which born again Swindonian had mentioned before and which meets every second Tuesday of the month. The death cafe is run by Sue Holden, a civil celebrant and grief recovery specialist. 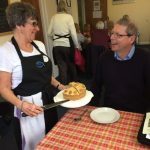 -And to keep in touch with my French, the Anglo-french club de Swindon, the French Language meet up where Francophiles meet up in Rudi’s bar every other Thursday night for conversations. Then there’s the occasional French film at the arts centre organised by the Swindon film Society for the best in world cinema. Swindon has also proved to be a wonderful place to bring up our son. Thanks to a friend I discovered storytime at many of the libraries, though Central library was the favourite. I got to learn and share some English nursery rhymes with my son as well some stories and other activities. Unbeknown to me at the time, this turned out to be the start my second business, Bilingual Babies ~ Bébés Bilingues. We make lots of use of all the different play areas and green spaces scattered around the town. 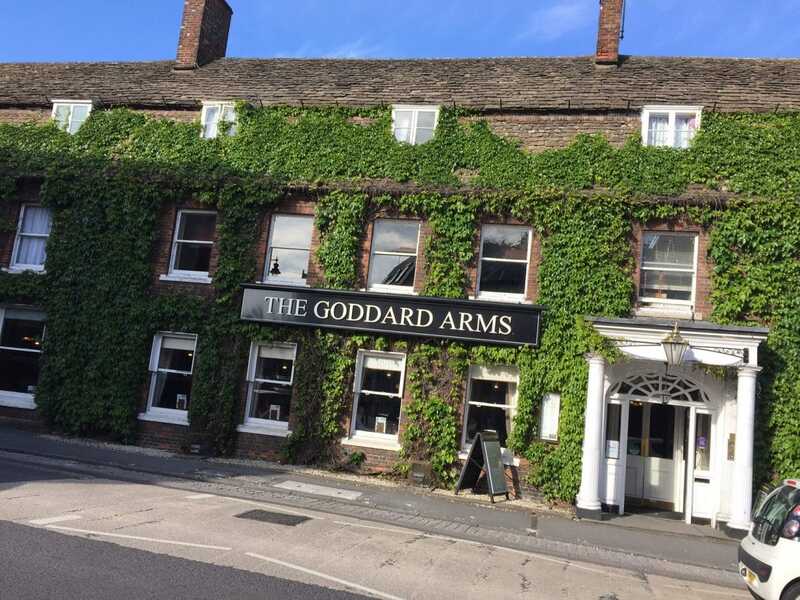 The one in Eastern Avenue in Old Walcot and Cambria Bridge along the canal track in town were regular haunts when my son was little. 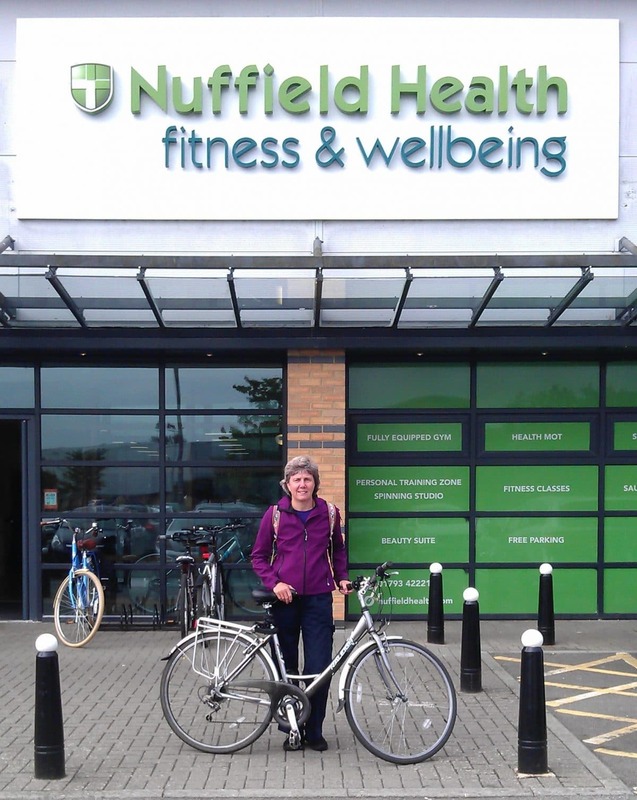 Now that he is able to cycle, Coate water, Lydiard Park, and Angel Ridge are among his favourites. Last year, we began to consider whether to home educate or not. 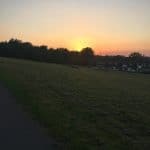 We were told by a parent in one of the groups that Swindon is one of the best places to home educate as there are loads of activity groups going on where children can socialise and learn all kinds of things depending on their interests. A year on, this has proved to be a great decision and we’re so grateful that Swindon home education has so much to offer. – Art: the museum and art gallery in Old Town which regularly changes its exhibits. And we are looking forward to Swindon Open Studios in September having much enjoyed the Marlborough one this July. 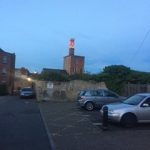 -History and architecture: its railway heritage at the steam Museum and a wonderful tour around the railway village during Heritage weekend. -Music: Concerts in the Town Gardens and Queen’s park events. 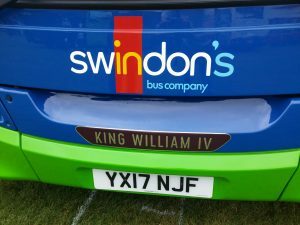 On this note, from a child’s perspective, I’ve been told to mention that Swindon is one of the best places to be, because the Swindon buses have names and my son is very pleased that the new company has kept that going.’ Good work Thamesdown Transport: you’ve got a fan! 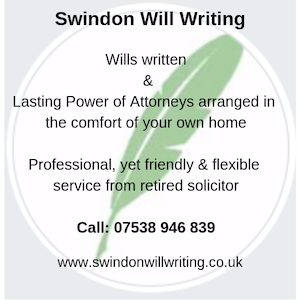 With the Switch on to Swindon initiative in mind I’ve been asking friends and clients of AA Editorial Services to write guest blogs for me sharing their Swindon stories. 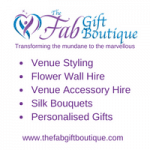 This time we have Sandra Trusty who is owner of the Fab Gift Boutique, an event/wedding venue stylist and personalised gift shop. I think it’s fair to say that some people pitch up in Swindon because it turns out to be the only place for miles around where they can afford to buy. This, I think, was the case for Sandra. But don’t quote me on that! As she describes, she came up against the prejudices about Swindon with which we’re so familiar. But! 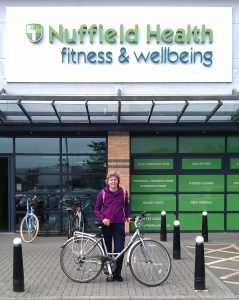 Sandra has been out and about getting to know Swindon. 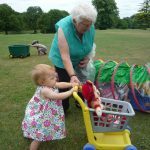 She’s discovered Nordic walking on The Lawns – who knew?! Sandra is also a big fan of Fenella Elms’ flow pot. I can’t lie – it gives me the eebie geebies. *Shudders* Though I can appreciate its technical brilliance. 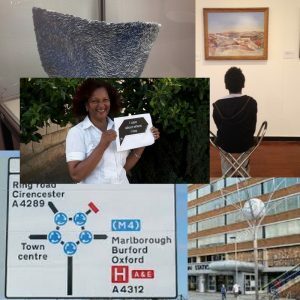 You can see the flow pot below in the rather fab image she did for the recent Civic Day ‘I care about where I live campaign’ run by Swindon Civic Voice. I’m rather fond of that Swindon Jubilee clock too I have to say. Thanks Sandra for your delightful account of discovering Swindon. It’s just the sort of thing we Born again Swindonians love to hear! ‘We moved to Swindon back in 2014. We had lots of comments about why were moving here, there is nothing in Swindon except the Swindon Outlet Centre, so what were we going to do with ourselves. How wrong were these detractors! We settled in and went through the painful renovation process. Oh the dust and dirt and many many trips to the local DIY shops. One consequence of being a frequent visitor to any establishment is that they get to know you. 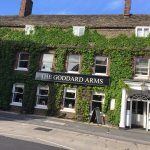 Because of this we were able to get help with a multitude of issues we faced in our new job as “excited fixer-uppers” Thankfully it’s over now and we can now get time to explore Swindon and its localities. At the launch of one of the Swindon Open Studios I discovered the Swindon Museum and Art Gallery and was transfixed when I saw the display cabinet containing a piece by Fenella Elms. I could stand and stare at her flow pot for hours, following the ebb and flow of the lines and images and forms the pot creates. My imagination runs riot as I stand and explore the forms of this pot. It’s totally beautiful and I’m so glad the Swindon museum and art gallery has acquired it. Pop along to the museum and have a look. See if it floats your boat. I’m amazed that I can just walk into someone’s garden and find street art. And this is in fact what you can do. In West Swindon, part of the West Swindon Sculpture Trail, there’s a front garden with a stone carving of ‘Hey Diddle Diddle” on show. You can drive or walk past and admire it. I’m told you can go right into the garden to get a closer look. I haven’t done that yet, but one day! The countryside in and around Swindon is amazing. I love driving around and not being surrounded by concrete. I drove from Swindon to Pewsey recently and discovered some fabulous countryside out there. We’ve also discovered the Cotswold water park and took a long leisurely Sunday afternoon walk along the towpath and getting sort of lost. There’s some excitement in not knowing where you are going to end up. Then finding your way and joining the dots to link one place to another and realizing you weren’t lost after all. I hope I never become de-sensitised to the beauty around me. 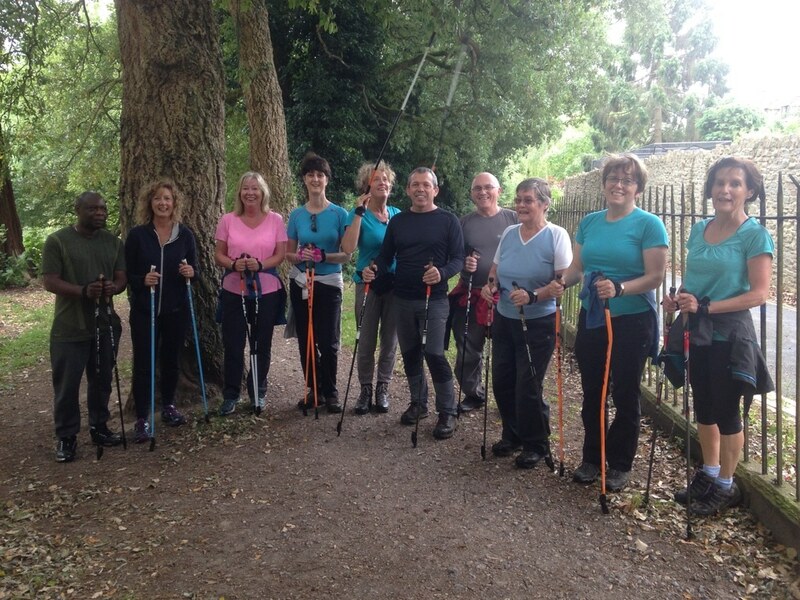 Talking of the outdoors and countryside, I’ve also discovered that Swindon has a Nordic Walking group that meets on a Saturday morning and also twice in the week. I first heard about this sort of walking exercise about 10 years ago but only just had the opportunity to take it up. 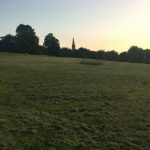 I’ve met some lovely people in the group and discovered The Lawns – a fabulous green space right in the middle of Swindon. 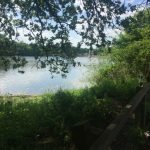 It has hills and valleys and lakes, woodlands and wildlife right here in the middle of town. 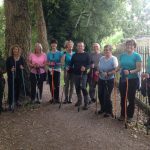 So I Nordic walk up and down and around on a Saturday morning and then retire with the rest of the group for a very restorative coffee/tea/hot chocolate. We sit outside a coffee shop at the top of Wood Street in Old Town, enjoying our drinks and spend the next five minutes putting the world to rights. It’s a great way to start a Saturday and leaves me energised for the rest of the day. The people I’ve met have been open and welcoming and have amazed and delighted me with their kindness and generosity. From my neighbours who welcomed us to the area to total strangers. There was the lady who bought a teddy for a little girl in the queue behind her and the young man who gave me his phone charger because he had just bought a new phone – I needed a charger and he had one spare.